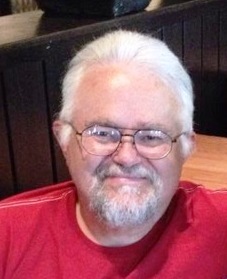 Frank "Stumpy" Daniel Burton, age 64, of Fairview, NC, passed away on Wednesday, April 3, 2019 at Mission Hospital in Asheville, NC. He was born on December 30, 1954 in Buncombe County to the late Ralph Leonard Burton who passed in March of 2000 and Betty J. McIntosh Burton of Fairview. Frank worked as an electrician for Grindstaff Electric for 20 years and was a member of Freedom Baptist Church in Asheville. Along with his father, Frank was preceded in death by his brother, Michael Eugene Burton who passed in 1975. He is survived by his mother, Betty J. McIntosh Burton of Fairview; his sons, Ralph Lawrence Burton and Frank Daniel Burton Jr. (Natasha), all of Arden, NC; his daughter, Faith Burton Barber (Jon) of Mt. Vernon, AK; his step-children, Matt Hill (Jennifer), and Tina Hill, both of Leicester; his brothers, Ralph D. "Dean" Burton (Kathy) of Morganton, Matthew "Matt" Clyde Burton (Melissa) of Swannanoa, and Timothy "Tim" Burton of Leicester; his 11 grandchildren, Miranda, Angel, Jonathan, Darrell, Hayden, Christian, Devin, Daniel, Shakira, Toni and Kaylee; four great grandchildren, Nevaeh, Noah, Braylin and Grayson; and two step-grandchildren, Alexis and Joey. A funeral service will be held at 7pm, Monday, April 8, 2019 at Freedom Baptist Church in Asheville. The Rev. Keith Hutchinson and Rev. Joel Burton will be officiating. The family will be receiving friends at the church an hour prior from 6pm-7pm. Memorials may be made to Freedom Baptist Church at 50 Rice Road, Asheville, NC 28806. Penland Family Funeral Home is honored to be caring for the Burton Family.